Enterovirus activity is up in Taiwan and health officials say has been higher than the epidemic threshold for two consecutive weeks. 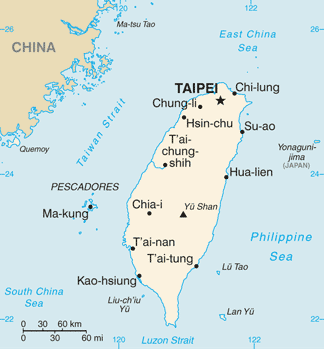 According to the surveillance data compiled by Taiwan Centers for Disease Control (Taiwan CDC), during October 23 and 29, 2016, the number of visits to outpatient services and ER for enterovirus infection in the nation was 13,143, which is 18.3% up from that reported during the previous week (11,109). Currently, coxsackie A virus is the dominant strain circulating in the community. Thus far this year, as of October 31, 151 sporadic cases of EV71 infection, including 129 mild cases, 1 suspected severe case, and 21 severe cases, have been confirmed. Taiwan CDC once again reminds that enterovirus is highly contagious, especially in crowded places such as households and child care facilities. Childcare facilities are urged to clean and disinfect the environment and toys and objects children play with regularly and educate children the importance of cleanliness in maintaining health in order to prevent disease transmission. Adults who return home from work are advised to change clothes and wash hands with soap and water before coming into contact with children. Taiwan CDC reminds that when a child in a household is diagnosed with enterovirus infection, parents and child caregivers are urged to refrain the sick child from close contact with other children to prevent further spread of the disease and watch for the development of prodromal symptoms of severe enterovirus infection in the sick child such as drowsiness, disturbed consciousness, inactivity, flaccid paralysis, myoclonic jerk, continuous vomiting, tachypnea, and tachycardia to ensure timely treatment.